Yup, we are at it again. 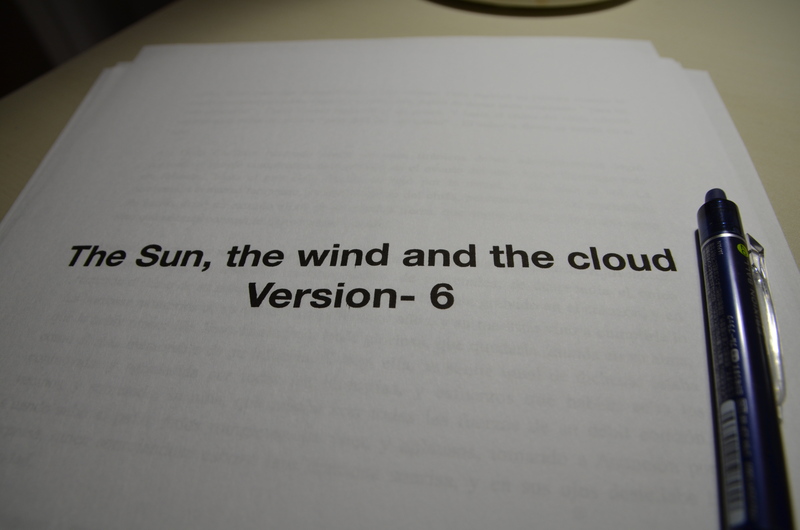 And although this story is called “The sun, the wind and the cloud” I must tell you that this story was born in a Spanish novel, which probably was my very first attempt to “seriously” write. 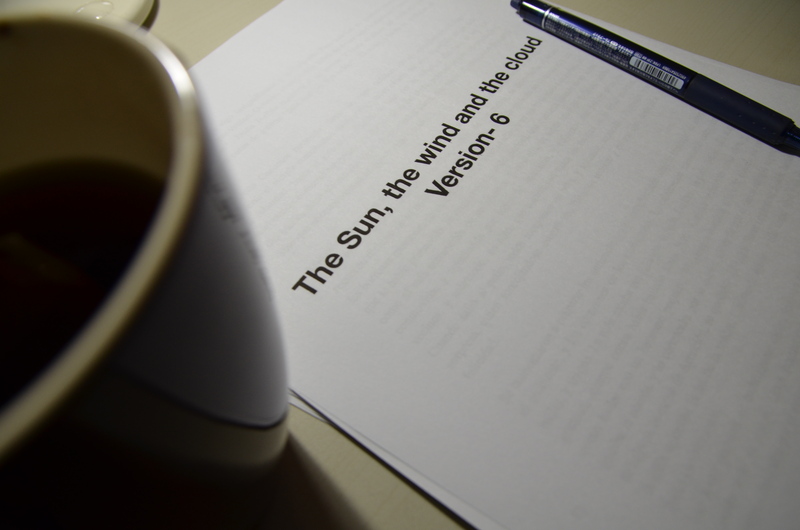 And from that first attempt to “seriously write” not only “The sun, the wind and the cloud” were born but also a series of stories called: “La niña” all written in Spanish. I know. But don’t look at me, I don’t have anything to do with it. I am merely a channel of the desires and wishes of the characters. They decide where they want to go, how they want me to describe them to you, and in which language they come to be. Fair enough.! You don’t have to take my word for it. But as I was lucky enough to talk with an artist last night, who shared with me her process to finish her paints. She said that is “as if the paint were talking to me, telling where it wants to go” It just blew my mind because that’s exactly what happens to me with my stories. These stories are all my children, and this time I feel I have to give them space to grow so they can be what they are meant to be. 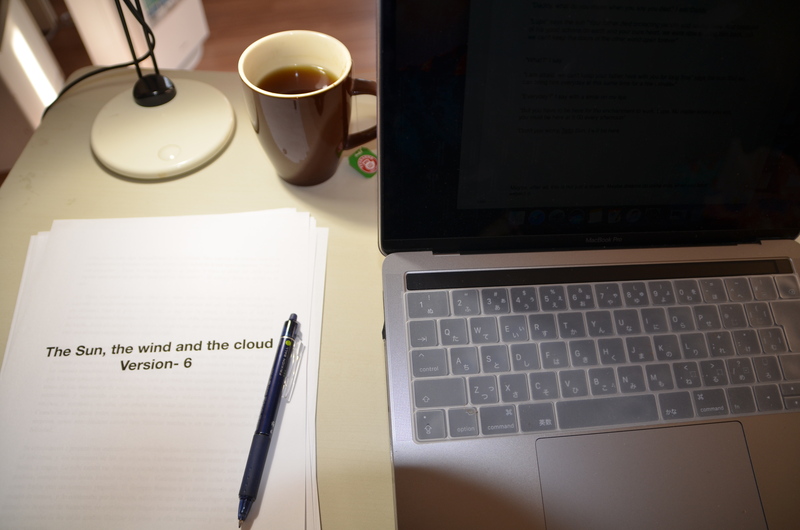 I wrote (still writing) “La niña” series, but I must confess, I forgot them for quite a long time, and I feel as if those “forgotten” stories in Spanish were calling me. Even more, they are not letting me moving forward with my other stories until they get the attention they deserve as if they were having a tantrum in the sweets alley at the supermarket, in other words, they (the forgotten stories) deny to leave until I give them what they want. So, please forgive me, and forgive them, after all, they are children, and I am a terrible mother. February 20, 2018 in Uncategorized.